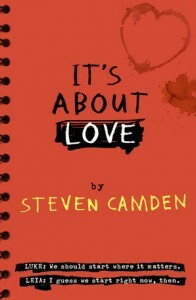 Win a signed copy of Steven Camden’s It’s About Love! Award-winning performance poet, playwright and author Steven Camden will be visiting secondary schools this October with the Scottish Friendly Children’s Book Tour! To celebrate Steven’s upcoming tour we have a signed copy of his latest book It’s About Love to give away. What name does Steven Camden perform under as a spoken-word artist? The closing date for entries is Thursday 29 October. To enter please add your answer as a comment below along with your name and email. View full terms and conditions here. 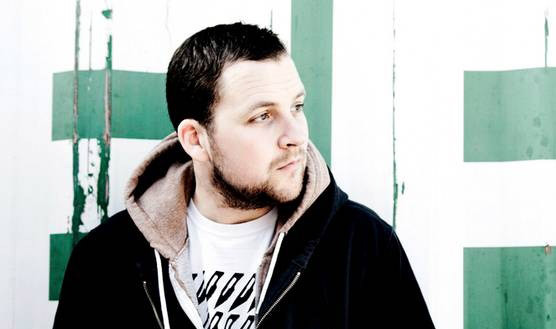 Steven Camden is one of the most highly respected and critically acclaimed spoken-word artists in the UK. Performing as Polarbear, Steven has toured throughout the UK and internationally, appearing at festivals from Glastonbury to California. 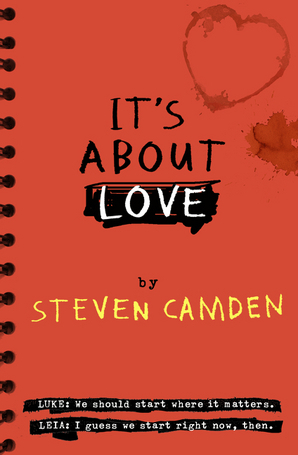 Steven is also the author of two fantastic novels for young adults, Tape and It’s About Love. Set in Steven’s home town of Birmingham, these stories about love, coming of age and discovery will resonate with any teenager going through rites of passage. Steven has lead writing and performance projects with schools and arts organisations worldwide and we are very excited to bring him to secondary schools in North Ayrshire, East and West Dunbartonshire for a jam-packed week of events. His moving and honest work has the power to inspire pupils and get them excited about performance and storytelling. Keep up to date with stories, photos and videos from the road with our Twitter and Instagram. To find out more about the Scottish Friendly Children’s Book Tour take a look at the Scottish Book Trust website. Birmingham is Steven’s biggest inspiration, all of his work is inspired by where he’s from. The first poem Steven wrote was a limerick when he was 8. 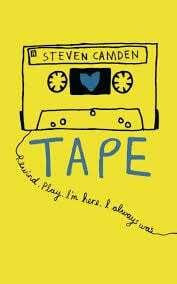 Steven wrote Tape in his girlfriend’s childhood bedroom. Steven got in to spoken word by accident, he never planned to be a performance poet. Two teenagers from different backgrounds and different sides of town meet during their first week of film studies at college. He’s Luke and she’s Leia, it could have been written in the stars. It’s About Love might sound like a typical teenage romance but this book is not just about romance, it’s about love. Love in all its messy, complicated forms. It deals with revenge, loyalty, violence, family and friendship, with love for where you come from and impatience to move away. In short, it’s about life. Powerful, honest and beautifully written, Luke and Leia’s story will keep you captivated until the last page. In 1993, Ryan records a diary on an old tape. He talks about his mother’s death, about his dreams, about his love for a new girl at school who doesn’t even know he exists. In 2013, Ameliah moves in with her grandmother after her parents die. There, she finds a tape in the spare room. A tape with a boy’s voice on it – a voice she can’t quite hear, but which seems to be speaking to her. Ryan and Ameliah are connected by more than just a tape. Told with crackling prose, shimmering with humour and deeply moving, Steven Camden’s debut novel will haunt anyone who reads it.